A long PowerPoint presentation can often be counterproductive. Sometimes the best way to explain a concept, market a product or to elaborate upon the key features of a service is to create an explainer video. 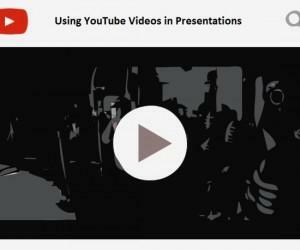 Such videos are commonly used on YouTube, as video presentations and at product demos. 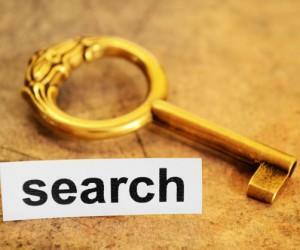 However, most organizations simply don’t have the budget or the expertise to make such videos. 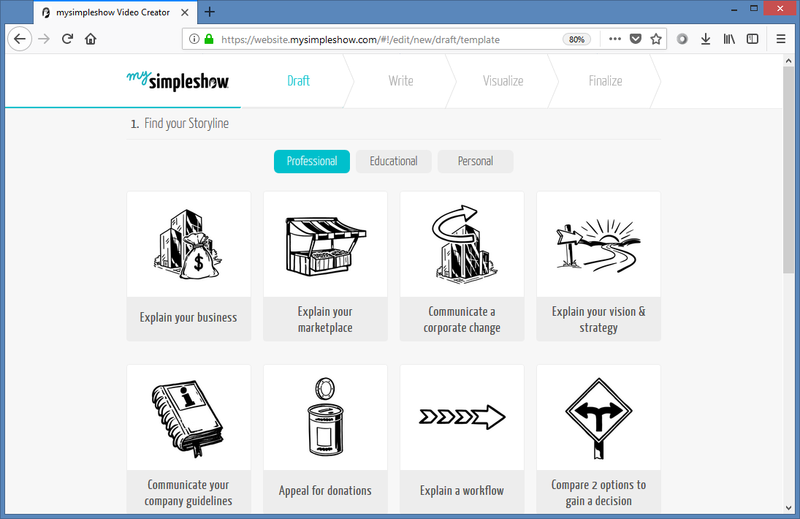 You can make your job simple by using mysimpleshow. 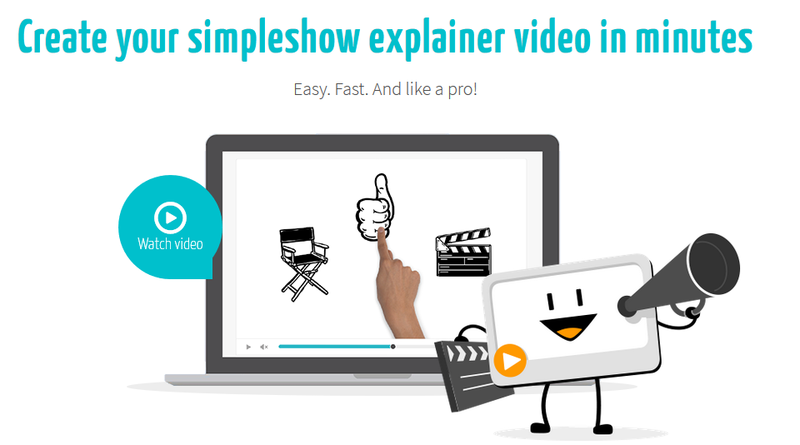 This is a web service which allows you to create explainer videos in a few easy steps. 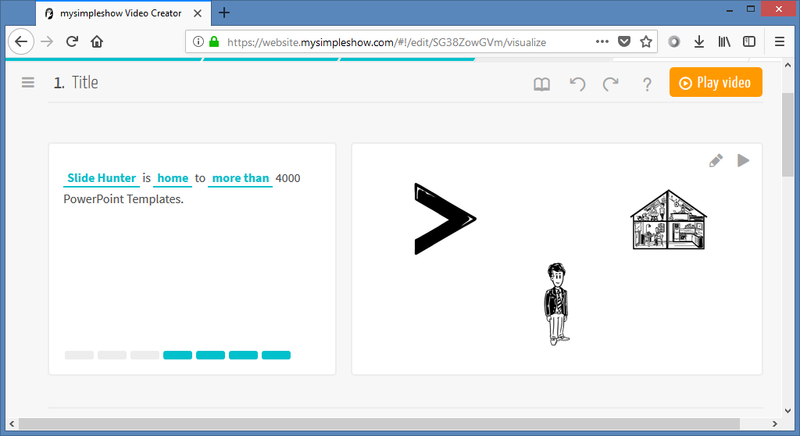 The mysimpleshow web service is for anyone looking to make an explainer video. 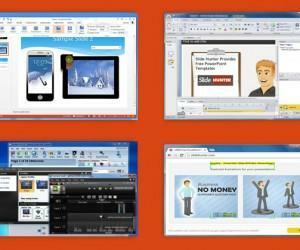 You don’t need to be an expert in motion graphics or a presentation expert. 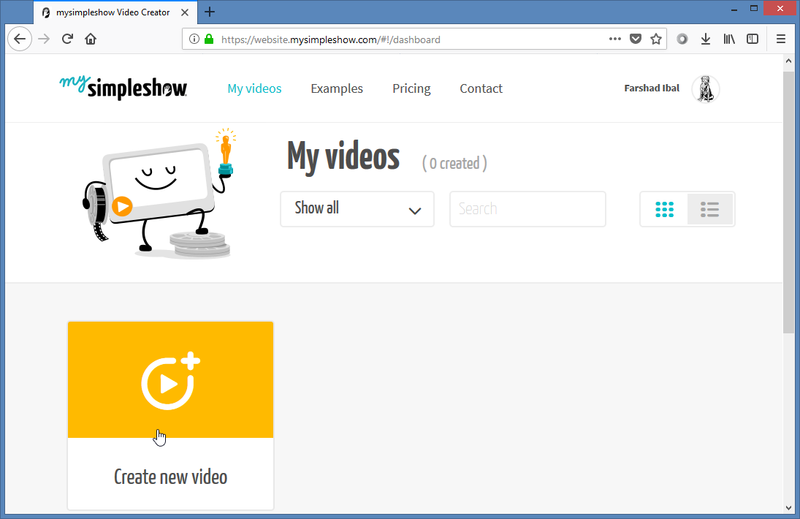 Just make a free account to mysimpleshow and get started with making your first video. 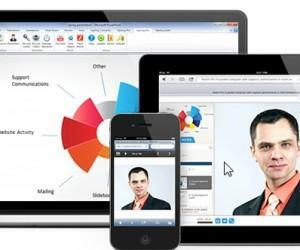 You can either use the available video templates or upload a PowerPoint presentation to get started with making your explainer video. 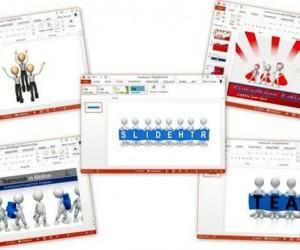 The given templates have been divided into three categories for educational, professional and personal use. You can pick a template that best suits your topic and proceed further by following the simple wizard. You will require adding a script for your video, after which you will be able to add visuals to it. 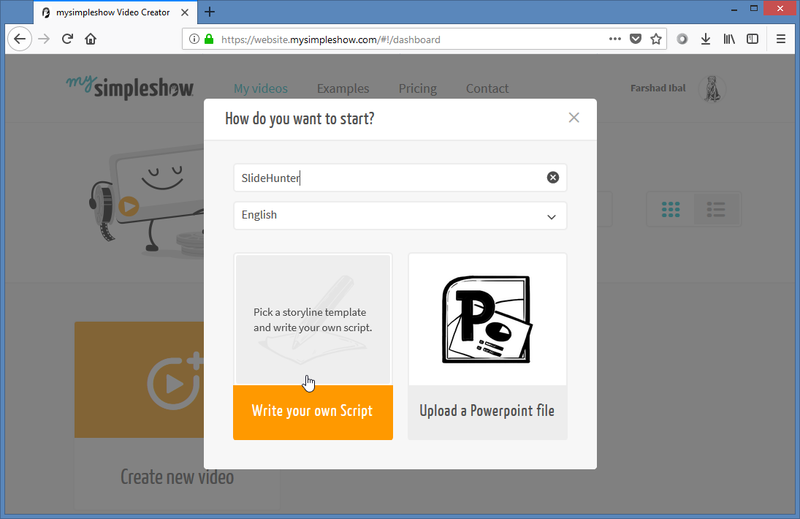 When adding the script your video will be divided into different chapters, making up the different segments of your explainer video. 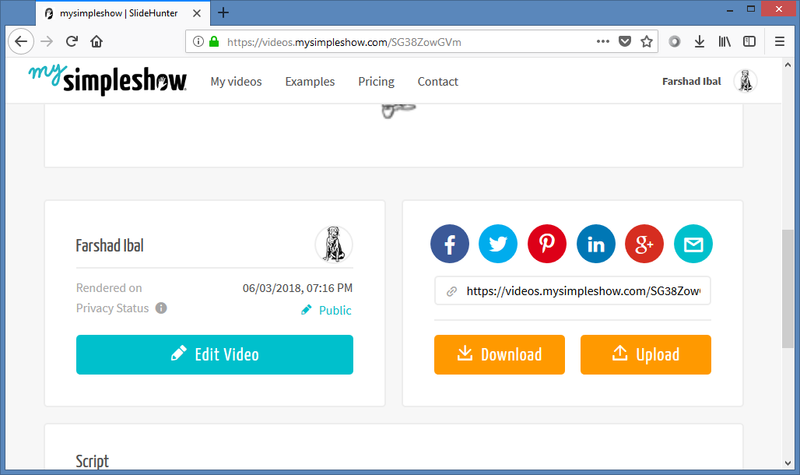 It is worth mentioning here that the free version of mysimpleshow restricts the amount of visuals you can use to customize your video. In order to be able to upload visuals, and customize the overall layout, you will need a premium account. 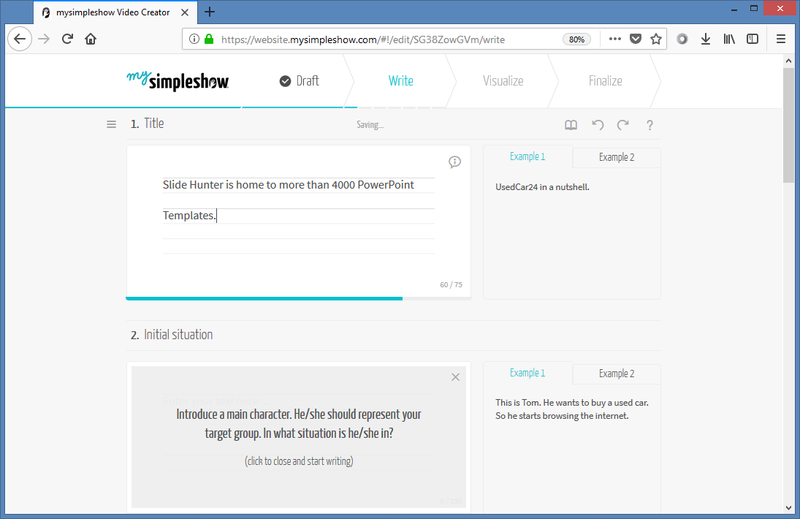 You can also add a voice-over and background, as well as make use of the mysimpleshow voices to read out your script and be the voice of your video. 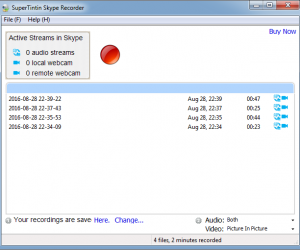 This can be quite useful if you’re not very good at recording your voice or reading out a script for a voice-over. Furthermore, you can also add a subtitle, watermark and scribble color. However, as is the case with most good things in life, most of these features are paid! Once you’re done with your customizations, click Finalize video to render your video. You can then share your video online using the given sharing buttons and direct link. If you’re a premium member, you can also download the video in HD quality. The free version doesn’t allow downloading the video and you can’t keep your video private. 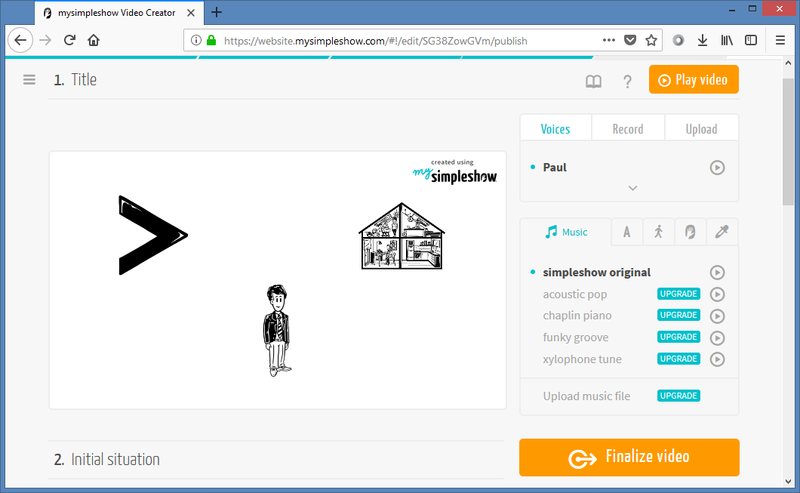 The free version of mysimpleshow is good to test the service, however, to make an explainer video for professional use, you will need to upgrade to a premium account.